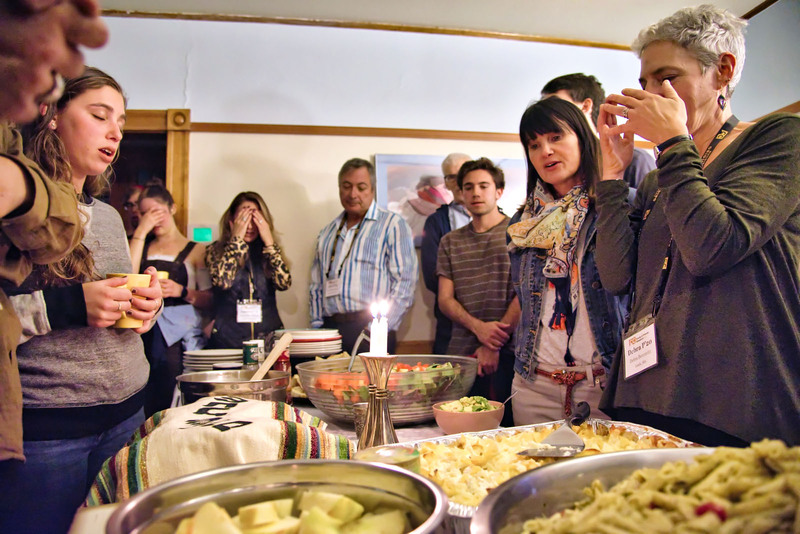 Parents and students gather at the Interfaith House during Family and Friends Weekend to share a Shabbat dinner. The meal was prepared by parents visiting their students on campus. Both Espy Tompson’s and Josh Birndorf’s mothers are invited to say the prayer over the Shabbat candles as the students gather around the table.